There’s not much that hasn’t already been written about the most successful music duo in rock history — Daryl Hall and John Oates. The two actually met in 1967 when they both ran for cover in an elevator to escape gunfire by gangs in Philadelphia. 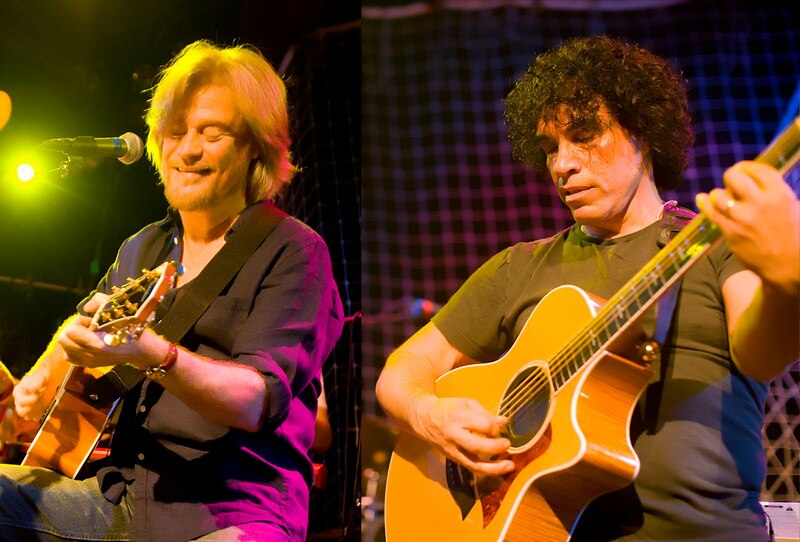 A mere 42 years later, Hall and Oates continue to record and tour behind their patented blue-eyed soul sound. Inducted into the Rock and Roll Hall of Fame in 2008, the duo shows no signs of stopping. We caught up with John Oates via telephone from Aspen, Colo., where he was taping a television program. Real simple. Write a better song and get a better record contract. It was incremental goals and that’s how we really approached it and believe it or not, that’s how we still approach it today. The fame and success was a byproduct of working hard and what we did. It took nearly four albums to get that first hit. Any frustration? When you are young, you want everything to happen yesterday. We were there mentally but by the same token, it was a blessing in disguise that we didn’t have success right out of the box. The first three albums were distinctively different; Whole Oats (folk, singer/songwriter), Abandoned (acoustic), War Babies was a full rock album. The Silver Album was kind of like a collaboration of all three. That was the first time our sound became identifiable. We took over production of our own music and that’s when everything changed and we began to hit our stride. The decade of the 70s was preparing us for the 80s. Why did you decide to cover “You’ve Lost That Loving Feeling” by the Righteous Brothers? It was an after thought. After we thought the Voices album was done, we had a listening party. Back then after you made an album, you had a get-together for the record company with friends and family. You debut the album to get them jazzed up a bit. We did that and sat back and felt something was missing. It was a great album but one element was missing. We didn’t know what element but knew there should be one more song. After the party, we went to eat at a local restaurant and that song came on in the diner. We looked at each other and thought wow, that’s it. Went back to the studio and played and recorded it and finished it in one day. The song “Every time You Go Away” was a hit single by Paul Young yet you guys wrote it. Any regrets? Not at all. If you listen to our original, it’s like an old stack of R&B songs and that’s how we heard that song, in that style. We pay homage to our roots and that was important to us. They heard it as a pop song and it became a huge hit for him. The song was so good you could do it anyway you want. Were you surprised “Maneater” was your biggest radio hit? We had a good feeling about that one. We both were notoriously bad at picking hit singles but that one just jumped out. It captures a mood, musically and lyrically, of New York City in the 80s. Lean, sparse, edgy, new wave meets pop. It was perfectly suited for the time. Was it weird that “Say It Isn’t So” came out at the same time Paul McCartney & Michael Jackson released “Say, Say, Say”? You are into auto racing. Why so? As a little kid, I was a race fan. My friend’s dad ran a hot dog stand at a local dirt racetrack that I used to go to in the 50s. I saw Mario Andretti and his twin brother Aldo, race jalopies. Back in the late 70s, I was making a little money and I went to the Hampton’s and saw a little track there and began doing some racing. I took driving schools in England and here in the U.S. and began doing amateur races, Formula 4, sports cars, then Endurance Series in the 80s. I did Daytona (24 hours), and began some professionally, but I never considered dropping music. I still enjoy it and take my son out there and go to NASCAR and Indy. Jon Stewart asked you to be on his show to make fun of Alan Colmes of Hannity and Colmes. How’d that come about? Well, they called us when Colmes was leaving the Hannity and Colmes show on Fox News and they wanted to do a tribute so we did a spoof of ‘She’s Gone.’ We are big fans of Stewart and I didn’t realize how much work he puts in to it. He’s there at 8 a.m., writes all day and then he directs the show. Plenty of rap/hip-hop groups sample your songs. You down with that? Oh yeah, it’s cool. It goes back to songwriting that has a timeless quality to the songs. They still work and reach people. Part of it is the groove, part of it is the hook. We look at it kind of as a tribute. What’s your take on the music industry today? I don’t think very much of it. I am happy to see the old business dying. It will now give the artists the opportunity to be creative and do whatever they want. The Internet is both a blessing and curse. So what’s left for Hall and Oates? We represent a lifetime of music. We have legacy and a fan base and a lot of people we feel responsible to, to uphold the hard work and the years we put in. I am doing some independent stuff. I have a solo project called ‘Story Behind the Songs.’ It is a songwriter series. I taped it live in Aspen (Colorado). I want to nurture young songwriters. I enjoy that process and that’s very important to me. For me, it’s all about creativity. It’s about songwriting. I am more appreciative of the art and craft of songwriting as I’ve gotten older. We made good records but the reality of it was the songs. Now my goal is to write songs that are meaningful. Lead singer Tyler Connally said it was purely “awesome” that his band’s hit record “Bad Girlfriend” was blowing up the radio airwaves across the country. Connally said the group originated in British Columbia, Canada, then roared onto the scene back in 2002 after he handed Chad Kroeger, the lead singer of Nickelback, a demo after a concert. Kroeger, who had created his own record label with Roadrunner Records called 604, signed the band but they needed a band name. 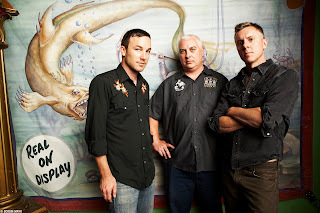 Several of TOADM’s songs have been featured on video games such as American Chopper, NASCAR 09 plus the band performed “Deadly Game” live at WWE’s No Way Out pay-per-view in 2006 and later recorded “No Chance In Hell,” the theme song for WWE owner Vince McMahon, and the song landed on WWE The Music, Vol. 8. Connally added that getting hooked up with the WWE was a great opportunity because wrestling is huge. “Jim Johnston heads up all the music at the WWE and he happens to be a big fan of ours and the rest is history,” he said. To add to their popularity, TOADM will return to their native country and perform at halftime of the 96th Grey Cup in late November, which is the Canadian Football League’s version of the NFL’s Super Bowl. Recording hit records and gaining popularity are one thing, but how does it translate into their live gigs? “We’ve been told that our live shows are very comparable to the CD,” said Conally. “We just get on stage and push play on the tape and just dance around,” he added with a laugh. If you were a fan of rock music in the 1980s, then you know Tesla. True old-school rock fans remember “Modern Day Cowboy,” “Gettin’ Better,” “Love Song” and, of course, the remake of “Signs,” originally performed by the Five Man Electrical Band. In 1994, the boys from Sacramento took a break because lead guitarist Tommy Skeoch, who is the lone member that didn’t return, had to deal with personal problems – namely, drug issues. Keith explained Tesla continued as a four-piece band and had hoped that Skeoch would join back up with his band mates and when that failed to occur, Tesla finally broke up in 1995. Tesla then recorded their fifth album, Into the Now, but soon after, Skeoch hit the brakes and left for the second and final time. The band continued on and replaced him with Dave Rude and Keith said they didn’t miss a beat. 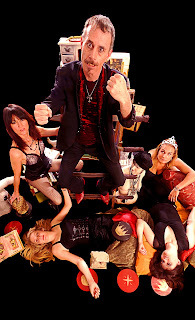 After some touring in Europe, Tesla signed with an independent label and went back into the studio with producer Terry Thomas, who produced the band’s fourth album, Bust a Nut. Keith said they wanted to bring Thomas back in because they felt they didn’t give him a fair shot. The new album also gave the rock legends a chance to get back to doing what they do best without all the corporate hassle. For instance, Tesla’s only top 10 single they wrote was “Love Song,” but their label, Capital Records, didn’t want it released. For those who know Otep and her music, this show is just what the doctor ordered as it will be the group’s first trip to Beaumont. For those who don’t, check this story out. Otep performed just four shows in Los Angeles in early 2001. At the last show, music industry mogul Sharon Osbourne was in the crowd and offered the band a spot on the coveted Ozzfest Tour. Record labels lined up to sign the band and Capital Records became the fortunate ones to gain musical rights. Otep Shamaya, the singer, describes the group as “uncompromising collective of artistic bohemians with creative catharsis through art and music.” The blonde beauty is a true artist. “I had the hunger to create things,” she said. “It sort of manifested itself in the beginning in the form of illustrating because I would draw, and draw, and draw. Then I wanted to put stories to the pictures. After that, I got into poetry and poetry performances, then eventually put the poetry to rhythmic music.” Her poetry was so powerful that she was featured on HBO’s Def Poetry. Just eight years ago, she and a friend went to Ozzfest to watch the popular tour and she got a foul taste in her mouth watching a certain band. But low and behold, Otep was on that very stage the following year. For those unfamiliar with the band, their shows have received rave reviews. But Otep is not your average rock star. She’s a very outspoken individual who follows politics more closely than some of the politicians in office, landing her an invitation to speak in Denver at the Ballot Bash during the Democratic National Convention this past August. Asked how she got so interested in politics, Otep explained that during her childhood, one parent was exceptionally conservative, almost a “McCarthyist” and the other parent was an idealistic Kennedy follower. She encourages people to vote and you want to know whom she may have voted for president? If you haven’t figured it out by now, she voted for Barack Obama. Her thoughts on the war in Iraq? Don’t be afraid of Otep. You may learn a little something from her. The band Red may not ring a bell to the average music listener. They’re not flashy nor do they use strange gimmicks to garner attention. The group, who started off in the Christian music scene, has now crossed the proverbial mainstream line and is beginning to get the attention they deserve. It started some seven years ago when Rauch met vocalist Michael Barnes and a set of twins — Anthony and Randy Armstrong. They all set their sites on Nashville — not as country musicians, but for a place to set up shop. Rauch said they all became roommates for a year or so and then the music became natural and not forced. With all that said, they had to settle on a name, which Rauch said was the hardest thing to do. The group had a name, and then came the music, which really wasn’t geared directly towards the Christian genre. After showcasing for several major record labels, RED signed with Essential, which is a subsidiary of Sony Music that rosters Christian bands. It was a perfect fit for Essential, said Rauch, and the band did not disappoint. 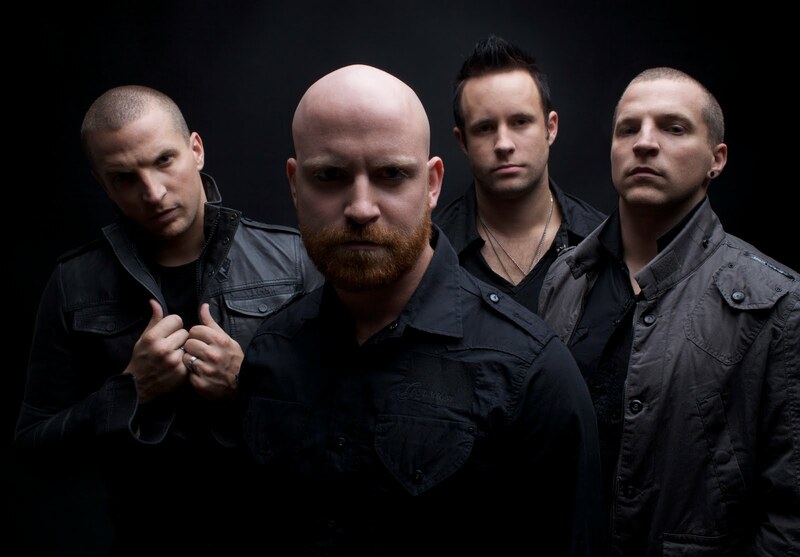 Their debut album came in 2006 as End of Silence was released and its first single, “Breathe Into Me,” won the “Rock Recorded Song of the Year” in 2007 at the GMA Dove Awards. If that wasn’t enough for the debut single, it climbed to No. 10 on the mainstream rock charts. After 500 live shows and narrowly escaping lifethreatening injuries when their van wrecked, causing then drummer Hayden Lamb to miss the remainder of the tour, RED released their sophomore album, Innocence & Instinct. The album has been out a mere three weeks and three different singles are on three different charts. According to radio trade magazine Radio and Records, “Never Be the Same” is No. 6 on the Christian/CHR chart, “Fight Inside” is at No. 9 on Christian Rock and “Death of Me” currently sits at No. 22 on the Active Rock charts. “Fight Inside” debuted at No. 1 on the Christian Rock chart, which was a first. Radio and Records stated that RED became the first band in Christian rock history to have a song debut at No. 1. Some music fans may categorize RED with Christian artists like Michael W. Smith, Newsboys, Carmen and MercyMe, but that’s simply not the case. None of those artists would be asked to tour with the likes of Staind, Sevendust or Papa Roach, and the rock community has put up no resistance. The adventure continues as RED finds shelter on both the mainstream rock and Christian music charts as their improbable crossover dreams continue. Most national bands are used to the cycle of writing, recording then touring, but none may be able to compare to the work ethic of Seether. Four albums and continuous touring from the states to Europe are some of the many reasons why this guitar-driven foursome has sold over 5 million records. “On the road again” doesn’t begin to describe them. They are fresh off a tour supporting Staind – they just played Ford Arena in November — and now they are off to the United Kingdom for 10 days before returning to the United States to support 3 Doors Down. 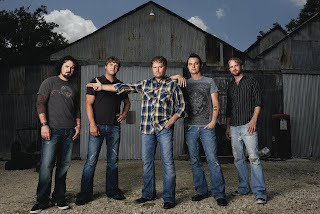 That show hits Ford Arena on Feb. 6 before Seether departs on a three month spot on the Nickelback tour. So is there a burnout factor? “You do the best you can,” said guitarist Troy McLawhorn, who is the newest member since joining the group a year ago in February. So fans who just saw Seether in Beaumont will likely hear a new setlist when the band comes back through town. 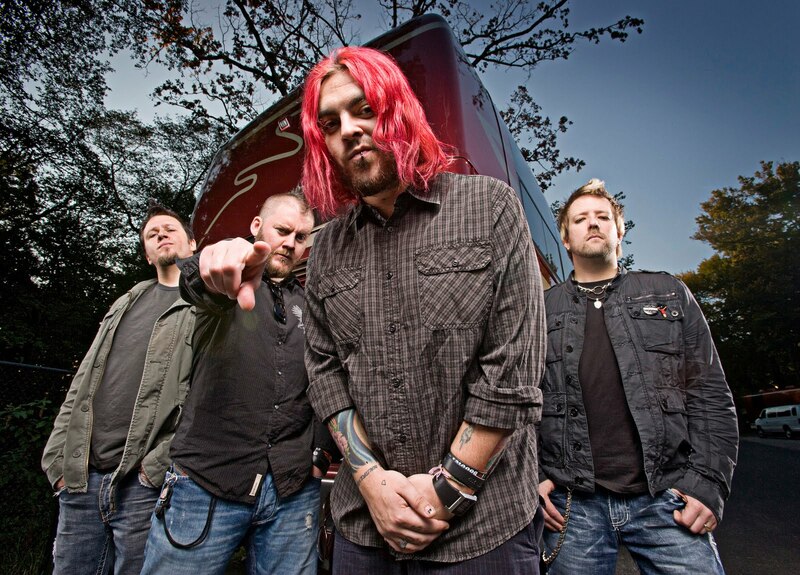 The original group was founded in 1999 by singer Shaun Morgan in Pretoria, Gauteng, South Africa and began playing small venues in Cape Town. Morgan is the lone original member of Seether, a band that was once named Saron Gas but changed its name when they signed a major record deal with Wind-Up Records. Apparently the original name sounded too much like the nerve agent sarin gas, a particularly nasty chemical weapon. A native of Fayetteville, N.C., McLawhorn met Morgan in 2002 when his band, Still Rain, opened for Seether, who had just released their first record, Disclaimer, which had a single called “Broken,” where Morgan shared vocals with a guest artist — his then — girlfriend Amy Lee of Evanescence. McLawhorn then joined a band called doubleDrive and they were once again reunited with Seether on the road and yes, it happened again. The guitarist joined up with Dark New Day in 2005 and supported Seether on another run. McLawhorn has yet to be involved in the recording process with Seether, but that will soon change. According to him, once the band finishes the tour with Nickelback, they plan to shut themselves in and begin the new album process. Their first two albums sold well over a million copies to give the band the status of platinum recording artists and their third sold over 500,000 units, certifying them as gold. But after selling lots of albums and non-stop touring around the globe, Hoobastank needed a break. The group, which has seen a few members come and go, has been at it since 1994. 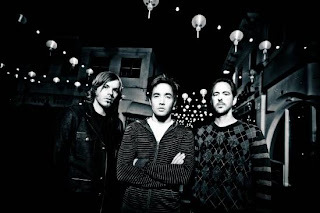 From the suburbs of Los Angeles, Hoobastank self-produced their first three albums then caught a break in 2001 when Island Records scooped them up. The band’s first major release, self-titled Hoobastank, produced hits “Crawling in the Dark,” “Running Away” and “Remember Me.” The single “Losing My Grip” was picked to be on the “Scorpion King” movie soundtrack. Hoobastank later played at the Rock and Roll Hall of Fame. Then came The Reason. Their second album in 2003 sold over two million thanks to, in large part, the record’s second single, “The Reason.” Rabb said he and the group had no clue what the single was going to do. “Not only did we not think it would blow up, but none of us thought that song was going to be a single,” he said. “It came out of leftfield.” Being a ballad, the single reached No. 1 across the board in different genres including modern rock, pop and adult rock and appeared on just about every MTV reality show known to mankind. 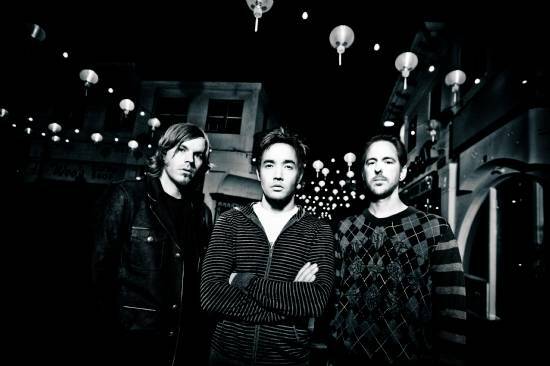 The success of the single earned Hoobastank several Grammy nominations. But don’t let the ballad fool you, Hoobastank likes to rock. The band chugged along and released their third album, Every Man for Himself, in 2006 and then it was time to take a break. And that they’ve done. The band from the West Coast has recorded a new album, and probably got in a few games of bowling. It’s titled For(N)ever and their first single “My Turn” is currently in the top 10 rock charts. So what’s the deal with the letter ‘N’ in the album title? So what’s left for Rabb and his two band mates to accomplish? The record companies told Pop Evil lead singer Leigh Kakaty they were looking for something new and different. But they’re doing this without a major record company supporting them. 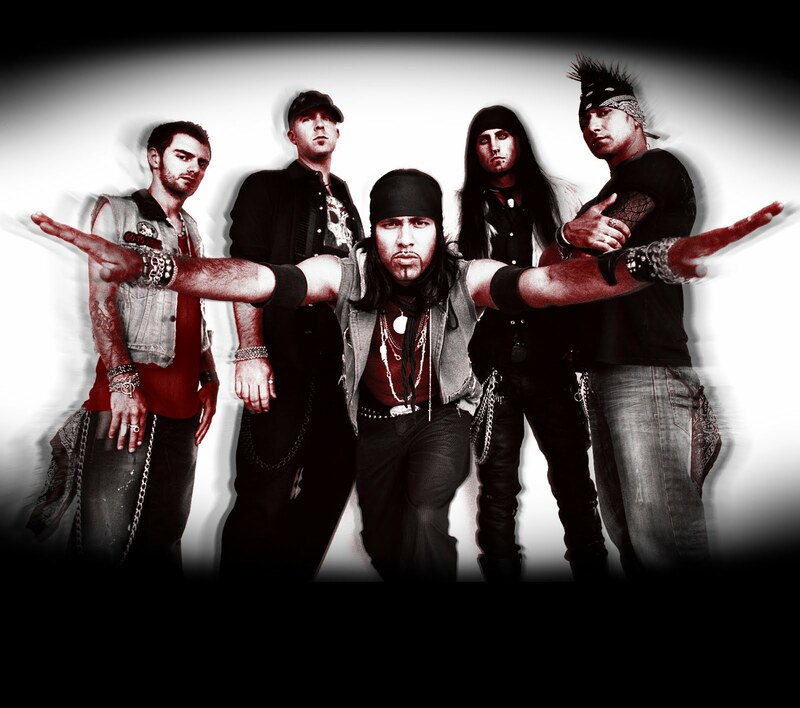 Pop Evil is signed to Pazzo Records and, right now, Kakaty wouldn’t want it any other way. But the million-dollar question is — what is Pop Evil? It wasn’t the normal Michigan lifestyle either. The 27-year-old’s father is from India and his mother is Canadian. He’s not the only one in the band with a distinct heritage. 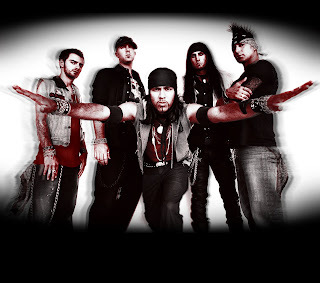 Pop Evil also consists of Turkish, Mexican and Polish descents. Kakaty explained that the group came together late in the 90s as most were members of competing bands but once all came together, he wanted to do something different. The lead man then wanted his band to play covers, or songs recorded by other artists. The hounding worked as the single was added to their nighttime rotation in 2006. The song instantly drew rave reviews forcing the program director of WGRD to put the single into fulltime rotation. After the song went No. 1 at the station, the PD asked for another song in 2007, “100 in a 55,” and that instantly became the local chart-topping hit. indie label Pazzo Records came in and snatched up Pop Evil and the boys hit the studio to record the album, Lipstick On The Mirror. 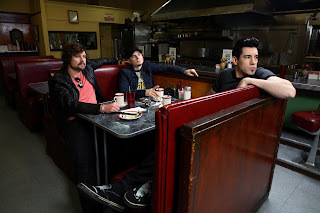 The single “100 in a 55” was re-released and is currently in the active rock charts across radio America and “Somebody Like You” was also recently released to mainstream radio stations. Pop Evil then left the Michigan area and began touring, supporting bands like Tesla, Puddle of Mudd, Theory of a Deadman and Saliva. Now, they have just started a tour of their own. Pop Evil has since added their DJ to the tour so there are no recorded tracks behind the music — the entire musical barrage is created right there on stage. Pat Green is one of the founders and leaders of the surging Texas country scene, but there’s more to him than the beer joints and dancehalls. He hasn’t outgrown his Texas roots since he branched out and made his niche on the national scene, from selling more than 250,000 albums without major record label support to signing a big deal and touring the country. “The market was ready and I had some dumb luck on my side,” said Green from his cell phone. Born in San Antonio and raised in Waco, Green is still Texan at heart. After high school, he went to Lubbock and enrolled in Texas Tech and started playing music with Cory Morrow. That’s Pat Green for you. But don’t let him fool you as the 36 year old does have a sensitive side. His plan was rather simple though. Green was making money with his hobby and knew he could make $10, so he tried to make $20. Once he made $20, he wanted $100. His popularity was growing. Not just in Lubbock, but elsewhere around the Lone Star state. Green opened for legend Willie Nelson before recording his first album, which he asked his family to loan him $10,000 to help pay for recording expenses. That first album, Dancehall Dreamer, would be the first of 10. With the help of Lubbock producer Lloyd Maines — the father of Natalie Maines of the Dixie Chicks — Green put out three before Universal/Republic jumped on board in 2001 with Three Days. Two years later, Green was on top of his game with Wave on Wave, which sold over 500,000 units, certifying it gold. One can hear that explanation in his latest song “Country Star” off his new album, What I’m For. With lyrics like “I’d think it’d be a cryin’ shame not to have my own airplane,” “I’ll be ridin’ shotgun with Kenny, Faith and Tim... And I wonder how they lived without me” and “...breakin’ hearts like Keith Urban,” Green takes his shot at the country norm. Green went on explain the resurgence of not only himself, but other rising Texas country players. 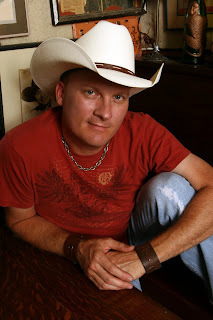 Green laid the groundwork for artists like Cross Canadian Ragweed, Eli Young, Honeybrowne and Stoney LaRue. As one of the founding fathers, he gave his take on why this genre has taken on a mind of its own. But Green has grown up some and sees things a little different. There may be some maturity in the sound but Green’s live shows are still the same — sold out. After everything he’s accomplished, Green said he’s still not satisfied. By that, he means that he wants to have more impact. And if you know Pat Green, he always says what he means. Fame, fortune, world tours, 15 million records sold, four No. 1 hits and multiple appearances on the Howard Stern Show — just a few highlights on the resume of Staind. Nearly 13 years to the day, and six albums later, the four-piece rock band from Massachusetts continues rolling along without a True Hollywood Story or Behind the Music hitch in their step. Their career has yet to be marred with keeping band members out of jail or dealing with other sorts of drama. If there’s no made-for-television Staind movie, who are they? Is it the lyrics? Lead singer Aaron Lewis’ vocals? Edgy riffs? It all started when the band self-released their first album, Tormented, in 1996 then opened for Limp Bizkit, who was the hottest act on the market at the time. Front man Fred Durst wasn’t happy with their album cover and didn’t want them to play. It wasn’t long after that when Staind emerged into the mainstream when Durst joined the band onstage for a live performance of “Outside” on the Family Values Tour in Biloxi, Miss. Their second album Dysfunction was already double-platinum and the “Outside” video became an instant classic on MTV by the time the group began recording their third album, Break the Cycle. That album produced their second No. 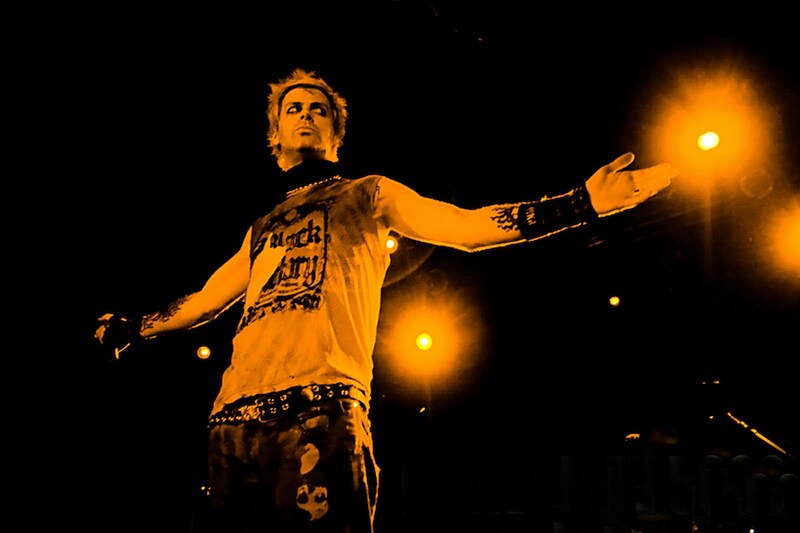 1 single, “It’s Been Awhile,” which stayed atop the modern rock and mainstream rock charts for a combined 30 weeks. Their next album, Chapter V, came in August 2005 and of course was another certified platinum record thanks in large part to the first single “Right Here.” That’s when they met Stern. So what was the twist? After playing a few acoustic songs, the group had remade a song for one of the Stern characters, Beetlejuice, entitled “This is Beetle.” Mushok wrote the music and Lewis put his twist on the melody. With a greatest hits album thrown in the mix that leads fans to Staind’s sixth album, The Illusion of Progress, which hit shelves in August and Mushok claims is their best to date. Plus Mushok shows off more with plenty of guitar solos. The first single, “Believe,” is currently No. 9 on the modern rock charts and No. 12 in mainstream making Staind a single’s machine. A group that has accomplished so much and kept it together for so long must be at the end of the tunnel and ready to relax. But there is a life outside of music, a sense of normalcy. After tuning his last guitar, Mushok, who loves to write music, would like to do some music for a movie soundtrack but reiterates his likeness for his current job. The Texas country genre has been described in terms like outlaw, the truth of the matter and music for the common man. 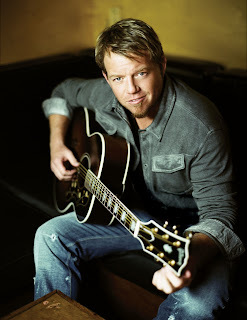 Some music gurus say this genre began in the 1960s and 70s with the likes of Willie Nelson and Waylon Jennings but it’s been modernized, so to speak, by the emergence of singer/songwriters, including Pat Green, Robert Earl Keen, Cory Morrow and Kevin Fowler. Fowler and his lyrics speak volumes. With songs like “Cheaper to Keep Her,” “Best Mistake I Ever Made” and “Loose, Loud and Crazy,” all that listen to Fowler’s music can relate to the Amarillo native who started out playing rock music. “I was like a Sideshow Bob,” said Fowler. “I was a guitar player that played in different bands.” But that led him to Los Angeles as he attended the Guitar Institute of Technology to master his craft. Fowler returned to Texas — but this time to Austin — and tinkered with several rock bands, including Dangerous Toys and Thunderfoot. That idea came to life when he released his first album Beer, Bait & Ammo, with the title track eventually becoming a Sammy Kershaw single that Beaumont boy Mark Chesnutt even sang at some of his live shows. His most successful album to date came in 2007 when Bring It On reached No. 14 on the Country album charts with the single “Best Mistake I Ever Made” leading the way. Also on that record was a song titled “Long Line of Losers,” which has since been recorded by country duo Montgomery Gentry and put on their 2008 album Back When I Knew It All. Fowler said he has seen the vibe grow from just a few guys playing on the road to an entire slew of artists who tour as relentlessly he does. But is it too much too often? For instance, there’s at least one or two Texas country artists playing the Golden Triangle each week. That’s if he can find time between touring. Creedence Clearwater Revival is not returning, but look out for Creedence Clearwater Revisited. After teaming up with John during that time, the group decided on the name the Golliwogs, but eventually wanted to get serious and changed to Creedence Clearwater Revival, due in part to Tom’s friend Credence Nuball. After seeing a beer commercial along with an environmental movement, Clearwater was added along with Revival. Between 1968 and 1970, they released six albums that contained the Creedence songs that remain staples of the classic rock format and have never really left the radio airwaves, including “Proud Mary,” “Born on the Bayou,” “Fortunate Son” and many more. Tension arose during the early 1970s when John’s brother Tom quit the band several times. Then John took more creative control and imposed new restrictions on his bandmates. With that said, their album “Mardi Gras” was released in 1972 and was received poorly by the fans. After touring for a few weeks in support of the album, John had enough with his bandmates and Fantasy Records. On Oct. 16, 1972, CCR was no more. John and Tom did solo projects and Tom later died in 1990 due to contracting AIDS through a blood transfusion. It was also during that time that money issues divided the remaining members of the band, an issue that has since been settled. The band was inducted to the Rock and Roll Hall of Fame in 1993 but John refused to let Cook and Clifford perform with him. In 1994, Cook met up with Clifford and the two jammed their instruments everyday. They decided to keep the CCR hits alive and find some musicians. Adding former People frontman John Tristao, as well as Tal Morris and Steve Gunner, Creedence Clearwater Revisted was born. Fogerty tried to stop the group in 1997 with a court injunction, which then briefly changed the group’s name to Cosmo’s Factory, but the court ruled in favor of Cook and Clifford and they kept the original Revisited name. Their shows became so popular they released a double-live CD titled Recollection, that included new recordings of many Creedence hits. Released in 1997, the album went on to sell over a million copies. He describes it as lightning bolts shooting out of his fingertips and fire coming out of his eye sockets. 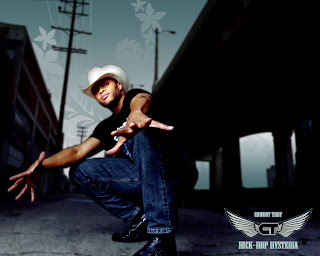 No, not Godzilla, but the one and only Cowboy Troy who brings his high-energy “hick-hop” attitude to the stage. Born Troy Coleman in Victoria, Texas, most of the world knows him as Cowboy Troy. He first high-stepped onto the scene with the country duo, Big & Rich. But the 6-foot-5, larger than life country-rapping African American cowboy is more than meets the eye. He’s highly educated, graduating from the University of Texas with a bachelor’s degree in Psychology, and a married father who parents triplets. So how did Troy get his start? I’m so glad you asked. After being raised in Dallas and graduating from Skyline High School, Troy went to college in Austin. That’s when he found his musical talent. Troy claims that he listened to whatever his parents played on their radio but remembers liking Charlie Daniels, Jerry Reed, Kenny Rogers, Dolly Parton with some ZZ Top, Run DMC and Def Leppard. While trying to make it big in the music industry, Troy worked odd jobs such as becoming a manager at Foot Locker. He self-released three albums on his own when Big & Rich literally took the country music world by storm in 2004, joining forces with them and Gretchen Wilson, another find by Big & Rich. The 38-year-old cowboy became only the second African American (Charlie Pride) to perform on the Country Music Association Awards (CMAs) when he rocked the stage with his new friends. But it can be difficult for some to put their fingers on his style, or the new wave of country music out today. In the new sound’s defense, country music has changed each decade, explained Troy. “Country music in the 70s didn’t sound like old school country,” he said. “George Strait came around in the early 80s and brought that original sound back then in the 90s, Garth (Brooks) came out, and in my estimation, added country with a little pop rock in it.” Troy then pointed out that Brooks’ cover of “Shameless” was actually a Billy Joel song. His knowledge, success and persona helped land him a gig as a co-host, with fellow musician Jewel, on the fifth season of Nashville Star, a talent search contest like American Idol. Troy said the show was great allowing people to realize there are other competition shows and other opportunities for different artists. After performing at the 2008 Republican National Convention in St. Paul, Minn., Troy has done just about everything. Rolling Stone described it as an “absolute must-see act,” Newsweek says it “freakmania” and FOX News' Tucker Carlson says Jim Rose is a “cult hero.” For the first time ever, The Jim Rose Circus is coming to Southeast Texas and he’s bringing his best show to date, which features former WWE wrestlers Jake “The Snake” Roberts and Kirzarney plus an appearance by his wife Bebe the Circus Queen and Rose’s newly acquired albino Burmese python called Maurice Le Grand that cost a cool $63,000. The show will bring you brutal comedy as Rose will take you on a journey of his star-crossed life and expose the difference between man and monster. In addition to circus stunts and pretty girls, Rose is bringing former wrestlers who don’t need a ring to settle their disputes. But where did this talented and brilliant man get these wacky ideas? Rose went on to describe how he once had a mishap attempting to jump 27 cows. It wasn’t just his adolescent years that landed Rose where he today. He said he was born premature and cross-eyed. Rose of course was picked on because of his eyes but that helped him learn a quick wit. 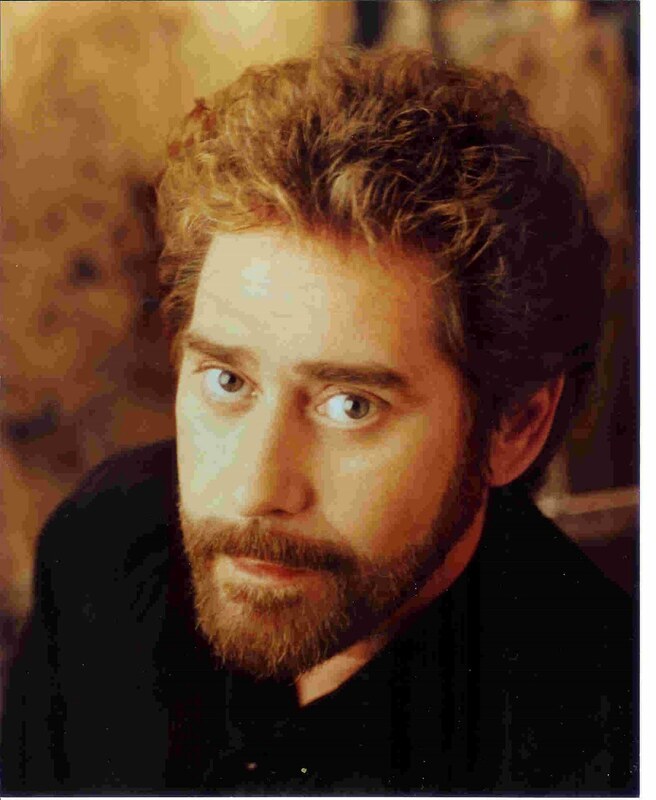 Once Rose began putting his first show together, he toured Canada and all of his shows were sold out catching the attention of talk show host Sally Jessie Raphael. With a background in theater, Rose then went out and bought a Spin magazine and watched 20 minutes of MTV to get acquainted with the rock world. From there, his popularity soared to new heights. He was featured on an episode of The X-Files and on the front page of the Wall Street Journal, wrote two best selling books, had a reality show called The Jim Rose Twisted Tour on the Travel Channel and even once was in an episode of The Simpson’s where Homer joined Rose’s show as the "Human Cannonball." Some of his artists included The Amazing Mister Lifto, who hung cinder blocks, steam irons and beer kegs from his body piercing, Matt “The Tube” Crowely, who would swallow seven feet of tubing that was attached to a pump that Rose would use to pump in different liquids, and Bebe, who performed a variety of stunts including the Plastic Bag of Death. No one would have ever imagined that two brothers from a small town in northern Massachusetts would bring the music and film world to its knees. Most know the story of Rob Zombie, from his movies, House of 1000 Corpses and the awesome remake of Halloween to his music with White Zombie. But some may not know his younger brother influenced and changed the rock music world with his own likings. “What’s funny is I was starting bands before he (Rob) wanted to be in music,” said Spider One of his older brother. Spider One, whose real name is Michael Cummings, said he loved bands like the Ramones and the Clash, which helped him open his eyes to music. He would never look at it the same again. He says the name of the band was inspired by — go figure — a comic book character. There’s not a specific or correct way to describe PM5K music. Energetic, rocking beats, with some guitar riffs added with a mix of synthesizers is a start. Some critics claim this band was ahead of its time as Spider One began this process in 1991. He said this all started at an early age as he watched inappropriate content before he was supposed to. For an example, Spider claims before the age of 10, he had already watched the Stanley Kubrick movie A Clockwork Orange. But it wasn’t all fun and games for this pop culture genius. His first record deal with Dreamworks appeared to be a good one as their second album Tonight the Stars Revolt! sold over a million records mainly in part to the success of the single “When Worlds Collide,” but a third album was cancelled by the label. After taking nearly a year off, he began to question himself and his intentions but his ‘batphone’ began to ring. After recording another album, Spider One still wasn’t satisfied. He explained this last album Destroy What You Enjoy, he drifted away from what originally made the group, adding more punk rock to the record. PM5K hasn’t set a name for the new record but they have put a single titled “Super Villain” on their Myspace page and it’s taken on a life of its own. They toured on Ozzfest among other super tours and they continue that aspect today. Spider One explains some credit belongs to the Internet.